If you find what you’re passionate about, you just have to believe that you can do it. The joy you get out of doing something that you love and, eventually making a career out of it, is really something else. Whether it was with my education, or wanting to make films or doing challenging roles like Bhaag Milkha Bhaag, people asked ‘how will he succeed’. Even my parents were worried that I will do nothing with my life. Believing in your own dream is important. As much as you love other people, you don’t need to depend on them to love yourself. We live in an age where we need so much validation from other people, especially on social media, where you put a post on Instagram or Twitter and then start checking for likes every five minutes. This constant need for validation is a dangerous thing because it strips away what you think of yourself. This is something that your mother and I have always told you—that nobody is judging you, and you should always say what’s on your mind. And you both do, though sometimes it is more than one wants to hear! That’s something children do need to learn. It’s also important to understand whether criticism is coming from a good place or is it just to put you down. When you know that someone cares about you and is telling you something to improve you, then by all means listen to them. One of the most basic mantras of life is to be honest with yourself and with others. Honestly can be painful but it is very rewarding. Everyone makes mistakes. If you know you’ve made a mistake, be honest enough to say sorry. And if the other person is apologising, forgive. Don’t be afraid to try something new. When faced with a new experience, learn to say ‘yes’ before you say ‘no’. Of course, this doesn’t apply to situations that could be potentially dangerous! I believe that fear starts with the most basic of things like a child’s eating habits. Kids are so resistant to trying new food. It’s up to a parent to teach them and coax them to take that leap of faith. In 2013, Pritish Nandy said something to me on the sets of Shaadi Ke Side Effects that’s stayed with me. He said that the word ‘Respect’ is too heavy a responsibility on someone. You shouldn’t have to respect someone just because she’s a woman, because they’re older than you, or because their work is good. You can admire someone’s work, you can have love for your parents, you can be polite and a decent human being with women. Rather than focusing blindly on respect, we need to understand the importance of treating people equally and decently. Respect needs to be earned and should come because of people’s actions, not simply because of who they are. No matter what, your parents are always there for you. If you fail, you don’t have to worry about who’ll be there by your side because we will always be there. 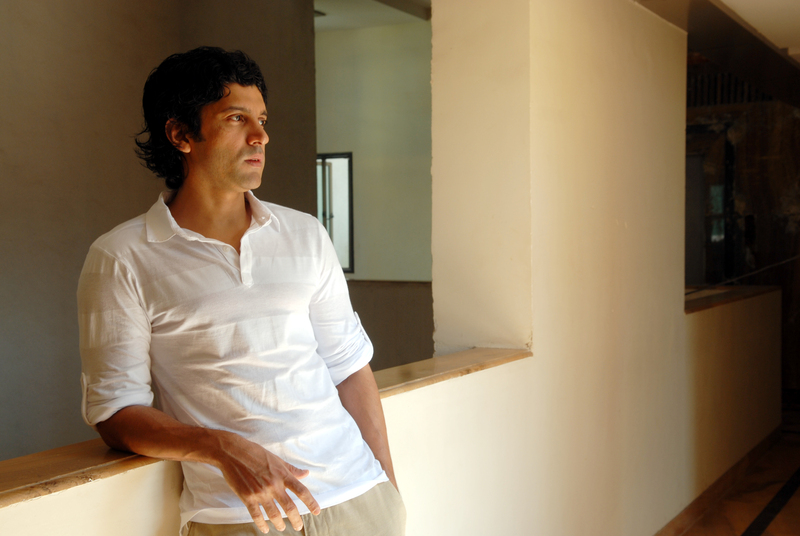 Actor, filmmaker, writer, musician, gender activist and devoted father, Farhan Akhtar wears many hats.